Texas singer/songwriter, one man band, multi-instrumentalist, Teacher of the Year, and dedicated husband and father Possessed by Paul James has announced that he will be releasing his next album There Will Be Nights When I’m Lonely on October 29th through Hillgrass Bluebilly Records. The follow up to his 2010 Independent Music Award-winning Feed The Family features 13 brand new original tracks recorded in Austin, TX. Nights When I’m Lonely was recorded at Burns Audio by Grammy Awarded engineer Cris Burns, and features contributions by world-renown producer and steel-guitar player Lloyd Maines, legendary harmonica player Walter Daniels, Cary Ozanian and Darren Sluyter from The Weary Boys, and members of Austin-based band East Cameron Folkcore. Mastered by Jim Diamond (The White Stripes, The Fleshtones & more) and recorded in the spring and summer of this year, Night’s When I’m Lonely showcases Possessed by Paul James’s creative brilliance with more attention and effort than ever before, while taking great care to not suffocate, but enhance the magic that has made him one of the most coveted live solo performers throughout The United States and Europe. 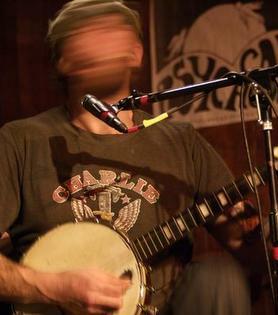 Possessed by Paul James is a titan of the deep blues scene, a well-respected songwriter, a musician known equally for his prowess as a singer, fiddler, banjo and guitar player, and a leader of independent roots music. Drawing from blues, country, folk, and punk rock, Possessed by Paul James’s music has been described by many as more of a life-changing event than a musical experience. He channels the spirit of music through himself like none other on stage, and leaves crowds staggered. By day Possessed by Paul James, aka Konrad Wert is an elementary school teacher working with developmentally disadvantaged children, and was awarded Teacher of the Year honors at his school last year, illustrating how music is just one way this gifted musician can touch lives. 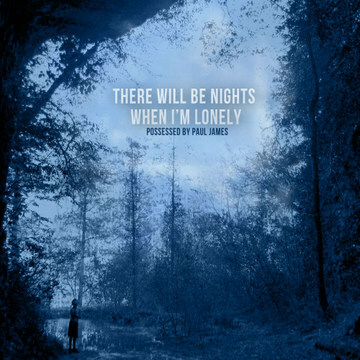 There Will Be Nights When I’m Lonely can be pre-ordered now through the link below. It will also be available for pre-order on iTunes on October 1st. Phenomenal performance at roots! Get the album! I’ve never heard of them, but I see that Jim Diamond mastered the record. He also mastered my cousin’s album if you want to check out some blues….Account To Me/ Hank Mowery. In the meantime, I can’t wait to hear more of these guys. The youtube stuff looks pretty interesting! Saw him at Muddy and both sets were great. But, that last one on sunday night…..just words can’t explain. Great news. Will defintiely get it. Loved Feed the Family. Konrad is simply amazing! Great artist, great friend … will always wish great things for him and his family! A lot of new music to check out next month. Hank 3, Lindi Ortega, The Devil Makes Three, PPJ, and a Halloween album from Those Poor Bastards! Thank you so much for posting SCM. Excited to hear folks reactions after they hear it. Can’t wait for this album! Is it going to be released on vinyl?